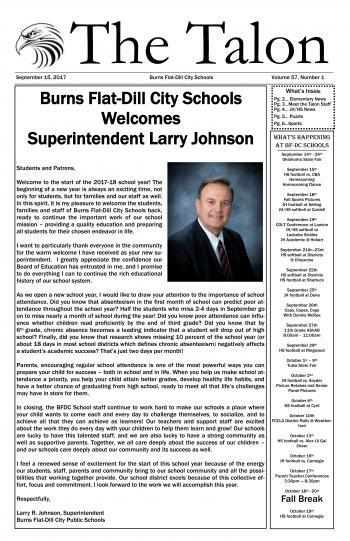 The Talon is the school newspaper for Burns Flat-Dill City Schools. It is a student created newspaper that is published approximately every three weeks to once a month during the school year and distributed in Burns Flat and Dill City. To view the past copies of the newspaper please click on the year link on the left, then click on the date of the paper you are interested in. All copies of the paper are in PDF format. To advertise in the Talon please contact any member of the newspaper staff or Mrs. Lee the sponsor at 580-562-4844. To see the rates for advertising please click on the rate sheet listed on the left.